Dyslexia is a common learning disability that affects an individual’s ability to comprehend and make sense of written and spoken language which leads to severe delays in reading, writing and spelling. Children with dyslexia may have trouble distinguishing their left from their right, which may contribute to tendencies to reverse letters. Although dyslexic children are of normal or above average intelligence their inability to read may cause them to have low self-esteem and view themselves inadequate. 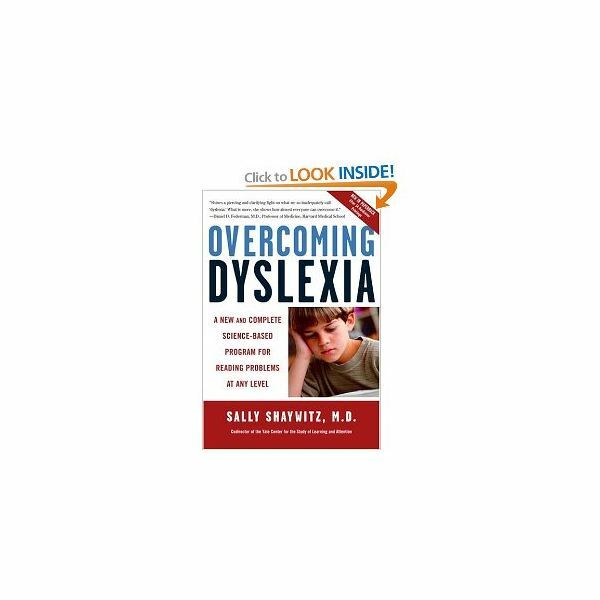 Educating a dyslexic child may seem overwhelming but with the right teaching techniques, homeschooling can be very beneficial to you and your child. Homeschooling allows the child to work at their own pace, without the distractions that occur in a public school setting. More importantly, it allows for focused, one on one instruction. Children with dyslexia have great difficulty translating what they see and hear into comprehensible language. This is not because the child has trouble with their vision or hearing but rather a dysfunction of the left hemisphere of the brain. This may be due to genes, (hereditary) or early trauma. The traditional method of language instruction used by the majority of educators involves using visual and auditory techniques which are two weaknesses of dyslexic children. Using a multi-sensory approach is the best way to teach language to a dyslexic child. Multi-sensory involves the child using three different pathways for learning which are auditory, visual and tactile. Phonics: When teaching phonics using all three pathways will help the child to link the written letter to the sound the letter makes and even how it feels. For example the parent may use puppets to teach letter sounds and clay or sand for the child to write the letter in. Refrigerator magnets may also be use so children can feel the shape of the letter. It is important to teach and re-teach phonics at a very slow rate since dyslexic children have great difficulty in processing this information. Spelling: Do away with spelling tests! Dyslexic children have a difficult time writing, and using a pencil can be time-consuming and extremely frustrating. A multi-sensory approach to spelling may include providing the child with sand, flour, pudding or other tactile materials to write the spelling word in. Another technique may include having them play an online spelling game where they must choose the correctly spelled word. If the child is having difficulty with a particular word, plastering pictures containing the written word all around the room may help the child become familiar with it. Reading: Children may benefit from listening to a story on an audio cassette or the internet and following along by running their fingers under each word as it is being read. Give children a story bag. A story bag or box contains materials that are used to act out or demonstrate a book while it is being read. Acting out the story with puppets may also improve reading and comprehension. An easy way to encourage your child to read is to create a treasure hunt. Make sure the majority of the clues contain words that are easy for the child to read and mix a few unfamiliar words in each time. A multi-sensory approach can be used through all areas of the curricula. Parents who use a multi-sensory approach should see a significant improvement in their child's language development. Parents who homeschool a dyslexic child may become frustrated with preparing lessons or have difficulty preparing a multi-sensory curriculum. Luckily, there are several programs, curriculum packages, and games geared toward educating children who suffer from dyslexia. The Orton Gillingham Approach is an academy accredited program that uses a multi-sensory program to teach language skills to dyslexic children. "Go Phonics" is another program that is based on the Orton Gillingham system that assists parents in teach reading, handwriting, and spelling to children who are having severe difficulty. Sample lessons may be downloaded from the "Go Phonics" website. "Verticy Learning" is an online academic program that focuses on using the Orton Gillingham Approach for children who are struggling with writing, reading and spelling. However, courses are offered in all subjects areas as well. Pricing varies depending upon which courses you enroll your child into. Instruction in math cost around $213, reading and writing together $750 or homeschoolers may purchase the complete curriculum for around $1490. There are also many online games that are very beneficial to dyslexic children. Making learning fun and exciting is crucial especially when teaching children who are having severe difficulty in a certain area. "Cross Bow Education" has a large variety of games to help struggling readers. Games that teach vowels, word chunks, phonics, spelling, and more are available for purchase at their website.Online exercises and games such as raining words, memory, and shuffle may be found at "Tintenklex." Additional games and ideas to teach your dyslexic child math, reading and more can be found right here at Bright Hub Education. Teaching your dyslexic child can be fun, easy, and rewarding. If you have a teaching tip or idea, feel free to comment. We would love to hear from you! WebMD: What is Dyslexia? and What Are the Different Types of Dyslexia?